This is a .22 Cal. bullseye match shot at 25 meters, one handed. Can be shot with either a pistol or revolver. This is a .22 caliber, one handed shoot. 60 shots in 2 hours. 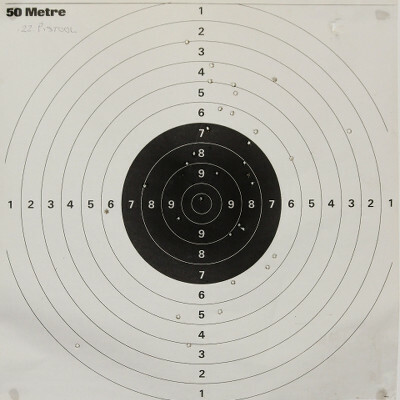 It is shot at a distance of 50m.